i eat vegan: LOW-FAT VEGAN GOLD! 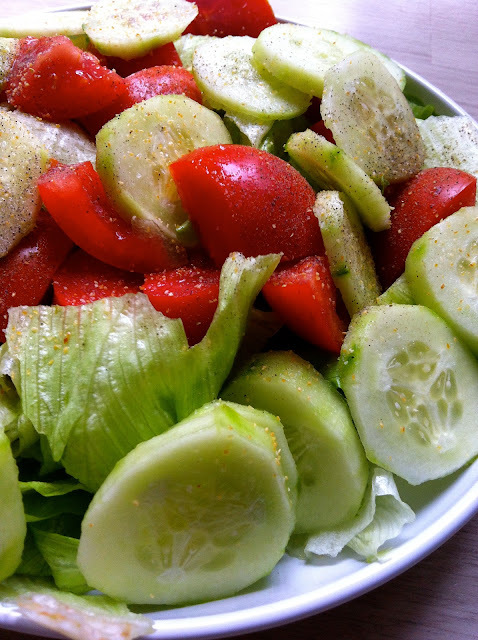 at 75 calories (315kJ) this fresh and delicious salad is the perfect lunch time meal! to reduce the energy density of any salad simply swap salad dressings or mayonaise for a sprinkling of salt, pepper and garlic granules or finely chopped fresh herbs - yum!